These luscious Paris-themed lipsticks deliver rich, satiny color with a balm-like feel thanks to moisture-boosting Pro-Xylane and antioxidant Vitamin E. Plus, they will protect the fragile skin of your lips from the sun with SPF 12. Eaudemoiselle de Givenchy is a tribute to the House’s aristocratic roots. It captures modern elegance united with a vintage essence, creating a fusion of structure and refinement with rebellion and freedom. Ambre Velours is the new and sensual interpretation of the existing Eaudemoiselle. This evening she is at home, making last minute preparations. In her room, she adds the finishing touches to her look with an exquisite, captivating fragrance: her signature, Eaudemoiselle Ambre Velours by Givenchy. Sounds seductive, right? I am loving the wafts of rose, plum, pink pepper, patchouli, cedar, tolu balsam, tonka bean and amber. Actually wearing it tonight! 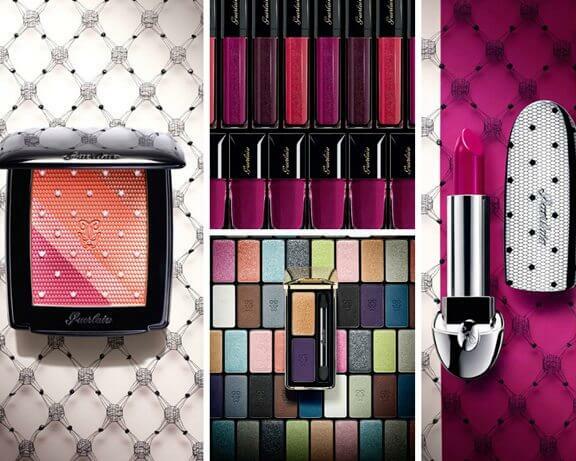 When the pix of Guerlain’s Fall 2013 Voilette de Madame collection first came out, it was obvious that Madame Rougit – the 4-color blush – would be the pièce de résistance. This pretty blush is spread across 4 stripes of color, graduating from subtle peach to vivid raspberry. In theory, you can use each of the stripes separately but that can get fairly cumbersome. Instead, I prefer adjusting the cool pink to warm peach ratio while swirling the brush across the compact. This creates a beautiful glow, making the blush a good option for everyday use. However, you will need a dense brush to get an adequate level of pigment as the powders are very firmly packed and a bit on the hard side. Bit of trivia: Guerlain named this collection after one of their legendary perfumes, Voilette de Madame (1901), which was discontinued eons back. I smelled it during a visit to the Guerlain flagship store in Paris and its animalic floral sandalwood was heavenly! Rodin’s Olio Lusso is my Holy Grail product – I use it for everything, right from skincare (few drops pressed on a clean, damp face at night) to makeup (couple of drop mixed into foundation for the most dreamy glow)! And random strangers have actually stopped to ask what perfume I am wearing when dressed up with this luscious-yet-lightweight oil. Thankfully, Rodin has launched a perfume edition of Olio Lusso’s familiar, heady, aromatic mix of jasmine and neroli packaged in ultra-chic style. Perfection! It was my first “grown-up” skin care purchase and even today, just as a certain shade of blue says Tiffany & Co., there’s a specific shade of pale yellow that always conjures up images of Clinique’s Dramatically Different Lotion in my mind. Decades after it first launched, this classic all-purpose moisturiser has just gone in for a revamp, re-emerging as the Dramatically Different Moisturizing Lotion+ , which better strengthens the skin’s moisture barrier. And Clinique is rolling out a nail polish shade to mark the occasion – in the form of Yellow Genius , an allergen-free, limited edition shade that’s bound to sell out in mere days. So run, don’t walk, to the counter! Named after Marbella on the Mediterranean (that’s Southern Spain for the uninitiated), Butter London’s Marbs is an opaque yellow-gold shimmer that’s perfect for playing up the last days of your tan. Bit of advice though: despite the shimmer, it’s not very shiny, so pair with a glossy topcoat for truly dramatic results. This is one CC launch I am pretty excited about, despite my normal cynicism of the genre. It’s the world’s first “CC lipstick”, combining the qualities of a lipstick, balm and lip pencil all in one pretty red casing. Available in 36 colors, Rouge Ecstasy offers the comfort of a balm combined with high impact color, impeccable hold (4-5 hours without touch-up in my experience) and a perfectly defined outline. It seems velvety soft on the lips and is lightweight enough for daytime use, while being saturated enough to hold it’s own at night. I am sold… you? While other beauty brands are just now discovering the branding potential of having a signature fragrance distilled into their haircare products, Moroccanoil has done this from the very beginning. Each one of the brand’s offerings are infused with a unique scent that’s described as “a culmination of juxtaposing spicy, powdery and fresh notes” that evoke “a sensorial journey through the Mediterranean”. And to broaden that sensory experience, Moroccanoil has created a sumptuous candle whose 50 hours of burning time will waft through your home, with or without a luxe blow-out. If you buy only one makeup product this season, make it the NARS Velvet Matte Lip Pencil in Mysterious Red. This gorgeous crimson red is totally on-trend for Fall 2013 in terms of both color and texture. It’s a subtly warm toned, medium-dark red with a matte finish that’s bold, bright and very opaque. The consistency is just waxy enough to that it glides across the lips without tugging or pulling while still delivering saturated color in a single stroke. And it stays on for hours and hours… I was actually scrubbing it off with a lip exfoliator after a 9-hour day. I just really wish it also had a twist-up mechanism because there is so much waste when sharpening a jumbo pencil. Some of my all-time favorite perfumes come from Estée Lauder – I even wore their Beautiful to my wedding – so it’s super-exciting to know they have a brand new scent offering this Fall. And it sounds pretty innovative, with your own personal genetic code determining how the fragrance comes across on your skin: some will take a whiff of Modern Muse and smell the “sparkling jasmine accord”, replete with jasmine, tuberose, lily, mandarin and honeysuckle. Others will take a whiff and experience the deeper, more intense “sleek woods accord” (that’s me!) with notes of amber wood, patchouli and Madagascar vanilla. Talk about a custom-fit. Added bonus: it all comes wrapped up in a sleek glass-and-gold bottle topped off with a navy bow inspired by Estée Lauder’s first bowed fragrance – Youth Dew (1953). Have you tried any of these beauty goodies? Going to try? What’s YOUR top beauty pick for September? Rodin oil sounds very intriguing but the price… the price!! ah yes, that’s definitely a sticking point. But a bottle would last you 3-4 years, if that helps!! 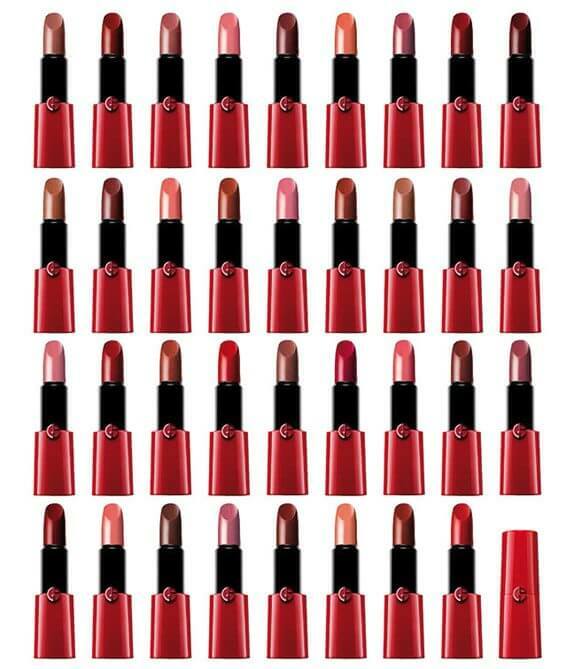 I love love love deep red lippys for fall. One of my favorites is the Red Velvet Lip Butter by Revlon paired with their Colorburst lipgloss in Bordeaux!